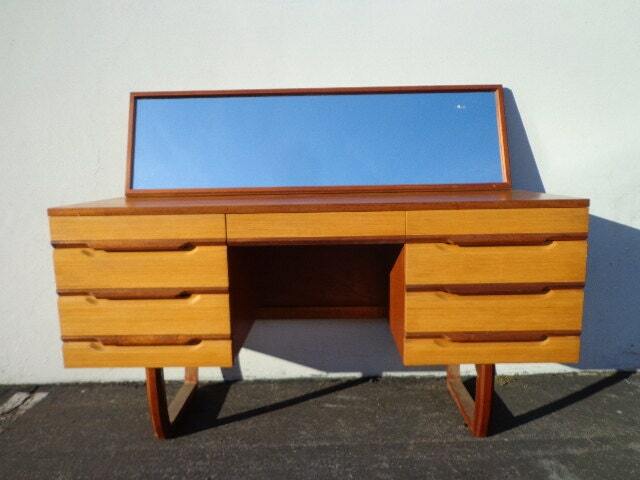 Phenomenal Danish / Mid Century Modern style desk / vanity with removable mirror. 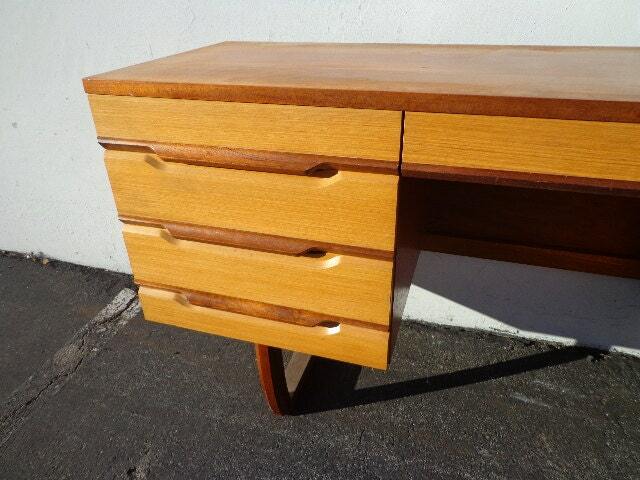 Well crafted and brilliantly designed. 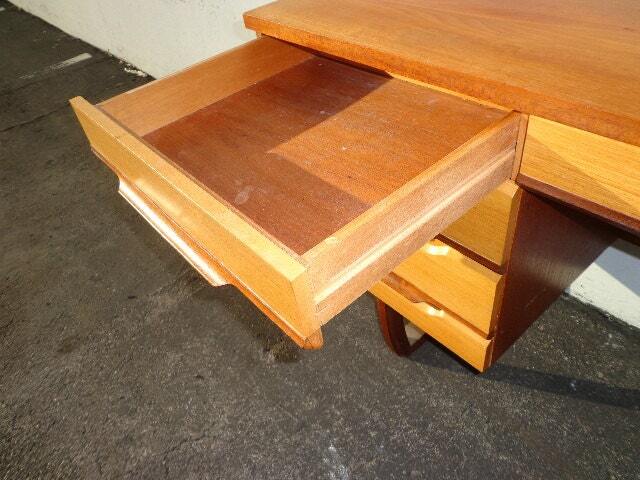 Features dovetail pullout drawers that offer ample storage and provide endless organization options. 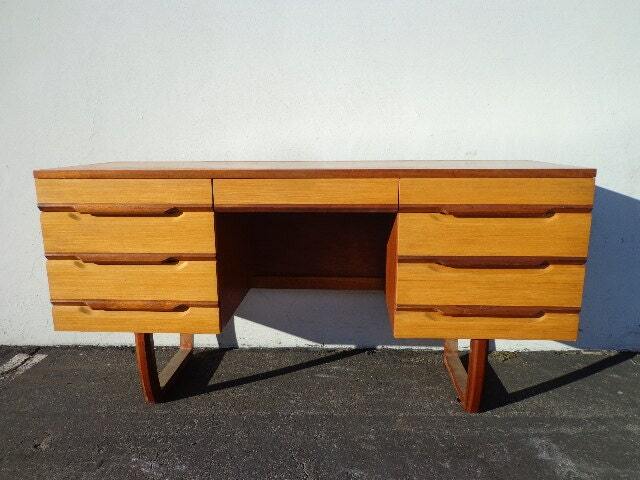 Classic midcentury character with a unique design. 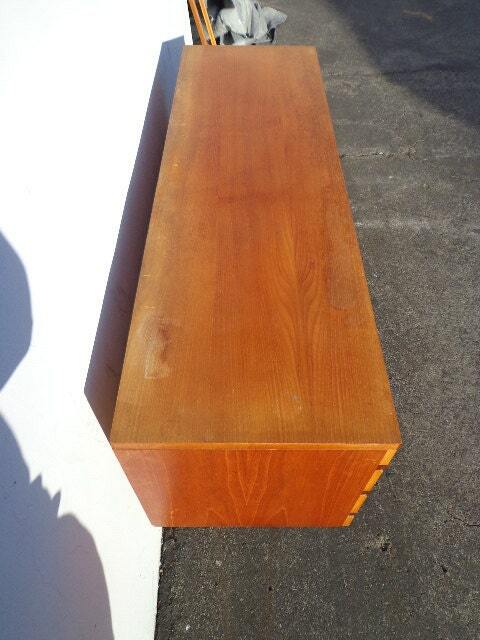 56 3/4" x 17 3/4" x 28 1/4"
Mirror 54" x 15 1/2"